Ease the pain of integrating your patient monitoring devices with your HCIS. A common problem that many healthcare IT teams face is the integration of data from patient monitoring devices into HCIS. Often, this challenging process is complicated by monitoring devices sending a constant and unsolicited feed of voluminous and unneeded data, which is often not even accepted by the HCIS. The Summit Healthcare Patient Monitoring Devices solution provides an answer to this problem by integrating monitoring devices and HCIS to provide the data you need, when you need it. The Summit Healthcare Patient Monitoring Devices solution works with any type of data feed from the selected monitoring device, including HL7, non-HL7, TCP/IP, and file based feeds. Two different HCIS interfaces (a Request/Response Query or a Monitoring Interface) can be used to correctly process the data into your HCIS database. Your organization will have the option of using an existing ADT feed from your HCIS running to the monitoring device, in order to ensure that accurate patient data is available. The data feed is then consolidated into one single feed for entry into the patient record, and is controlled and passed along by the Summit Healthcare Patient Monitoring Devices solution and delivered only when it has been requested by the clinician. Our solutions were developed with vendor neutrality in mind, and have been proven with a variety of monitoring devices, including Phillips, Spacelabs, GE, Stinger, and more! See how the Summit Healthcare Monitoring Device solutions can benefit your organization. 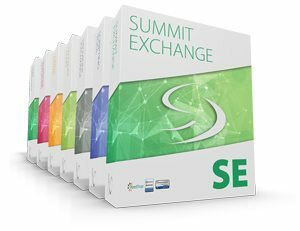 Achieve your goal of a single, comprehensive EMR and leverage the power of Summit Exchange to keep your data flowing in a smooth, accurate, and efficient stream with Summit Healthcare!